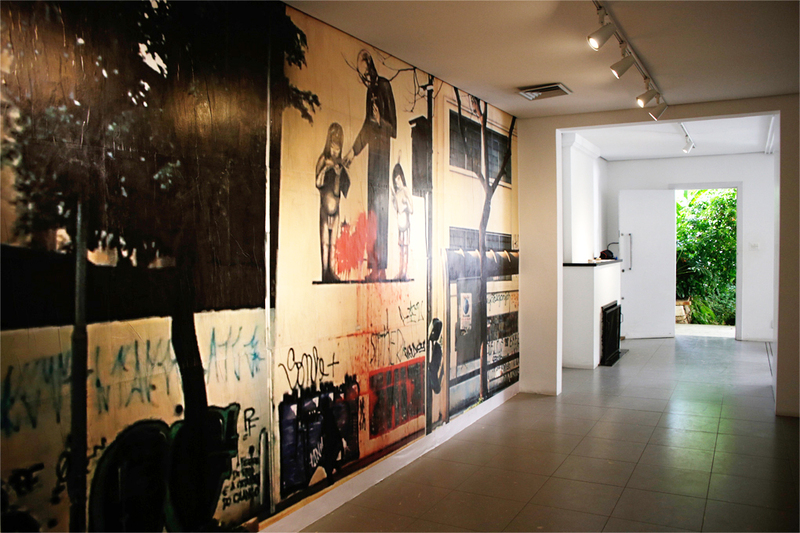 We are pleased to announce the first solo show by the Brazilian artist Gian Spina. 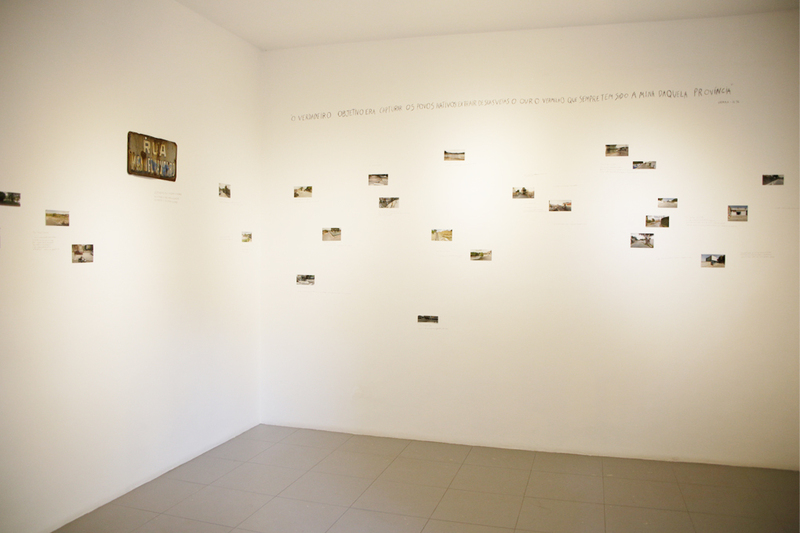 Spina develops his artistic practice around the construction of narratives and the representation of history and memory. 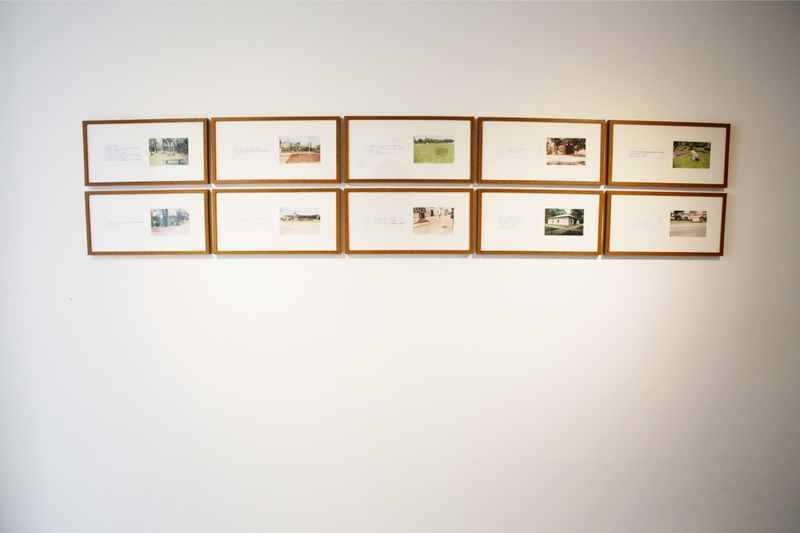 For this exhibition, curated by Juliana Caffé, the artist produced a series of works that seek to reflect on the representations of memory in the public space, the apologetic historiography on which they are based on and what they arouse in the social imaginary. 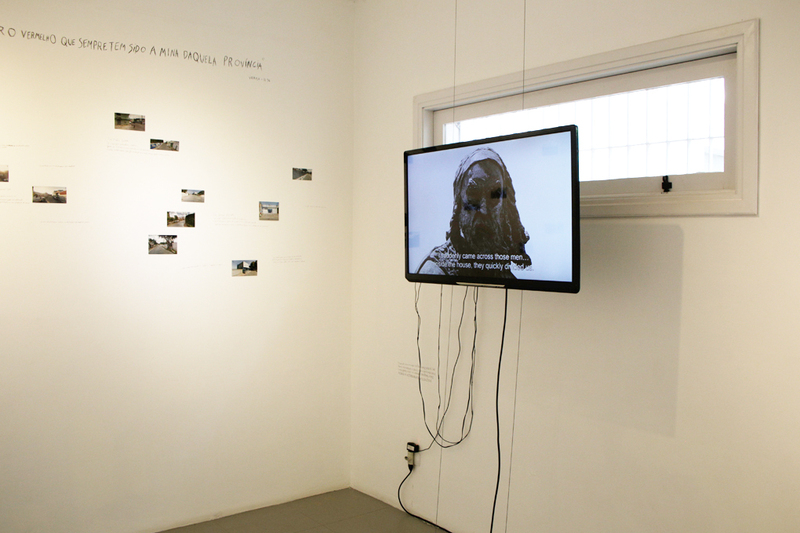 The show includes different medias, such as video, performance, installation and Spina’s activity as writer and poet. The urban landscape holds a spatial dimension of history. Paulo Mendes da Rocha states “the city is a mentality and a thought”¹ . Among the elements of the landscape, there are those politically designed to transmit memory. These, imbued with past values, persist in the present determined to continually celebrate its principles, transform themselves into devices of subjectivism directed towards the community. Like all memory space, these elements become a field of dispute and resistance, testifying to the living set of social relations historically shared by members of a society. 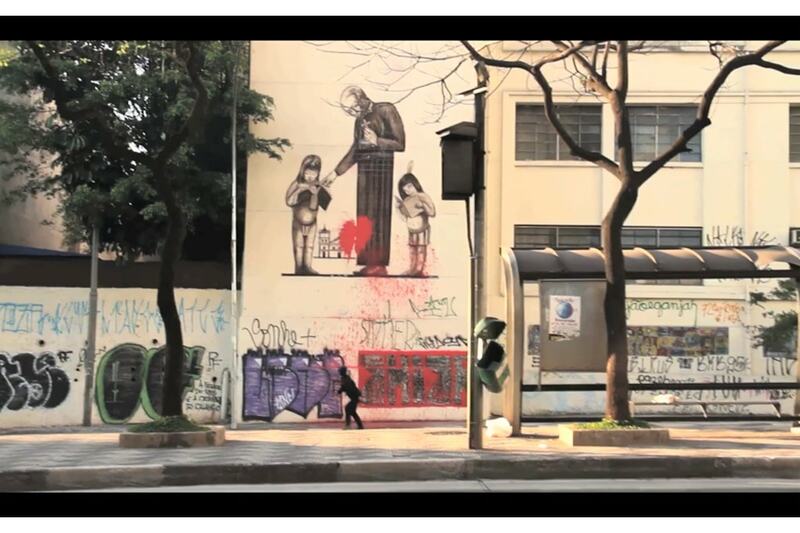 In the tension between narrative and audiovisual resources, GianSpina subverts representations of memory in public space and shows the brutality and incoherence of embodied and naturalized figures in the urban landscape. All the work presented in the exhibition comes from the artist’s research around the apologetic historiography that sustains symbolic policies, exercised by public authorities to fabricate idealized and / or consensual images of national order. With each work, Spina reminds us of the ideological function of these myths, forged to sustain power, while instrumentalizing silences and forgetfulness. 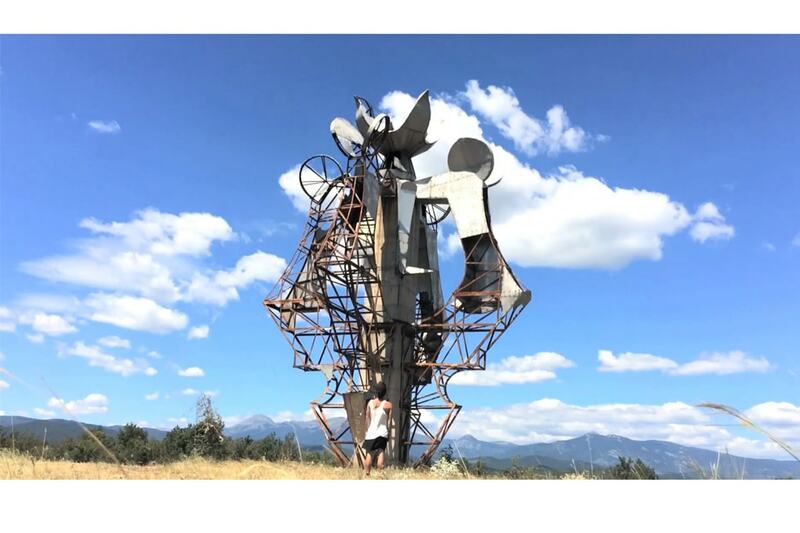 As a prelude, in Spomenik, the artist pronounces his encounter with a Yugoslav public monument isolated in the region of Macedonia. He presents poetic reveries about the ways power tries to perpetuate itself from matter. A few steps ahead, we are led to a succession of heritage monuments contested in cities like Raqqa, Moscow, Cape Town, Scopia, Baghdad, Paris and others. In Tombamento, from records captured on the Internet, Spinasews small narrative plots that involve the conflicting presence of symbolic representations, reminding us of the constantly unfinished character of history. These works reflect the itinerant nature of his artistic practice, which periodically investigates and experiments in an immersive way different places in the world. A gesture of transgression erupts in the centre of the gallery. A body interacts with an urban allegory, adding a new element to its meaning. 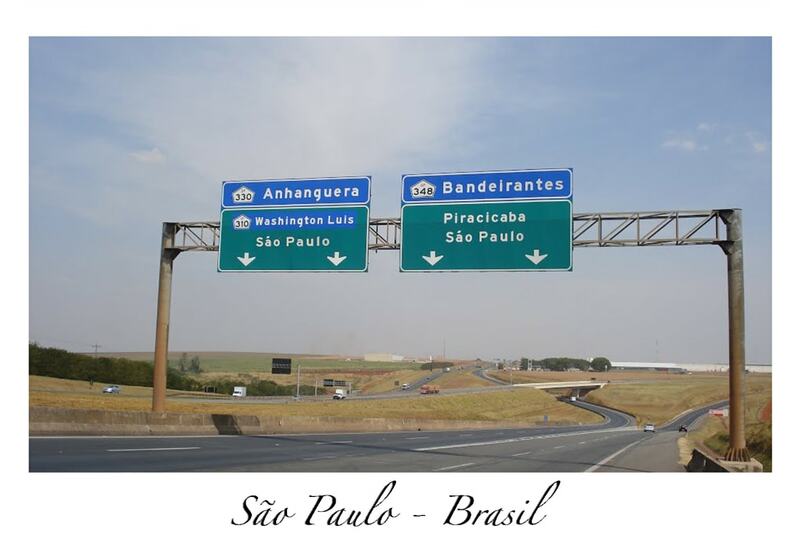 Spina turns his attention to São Paulo, his hometown, where praise for perverse colonial practices is sustained by society with monuments and memorials. We proceed, clips and zoom-ins of images emphasizes the celebratory and naturalized incorporation of the figure of the Bandeirante². 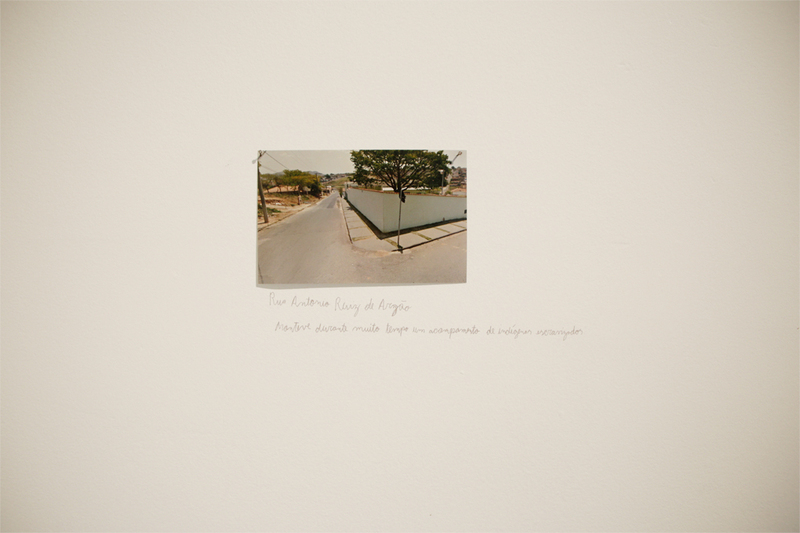 By the side, tributes present in the daily life of the city – from objects, pamphlets, to images captured by Google Street View – are gathered by Spina and contradicted by the bloody stories of Montoya. 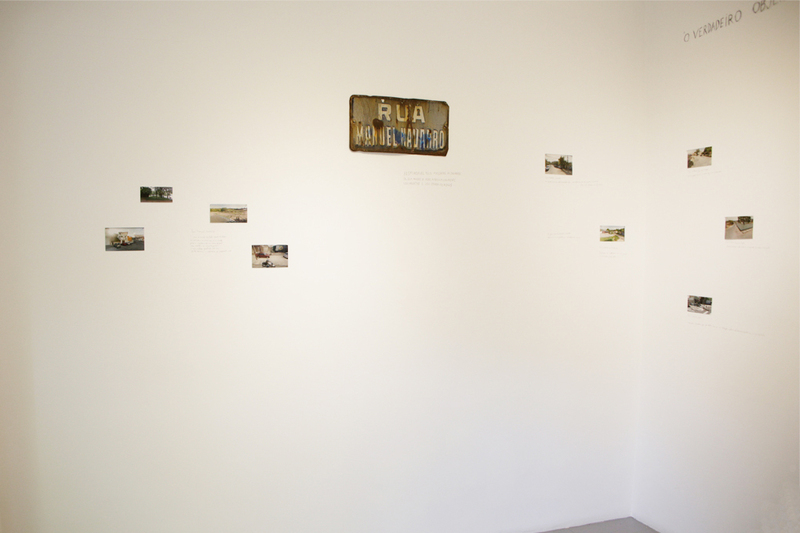 These elements, rarely contextualized in the city, are combined in the exhibition with contrary perspectives, referring to the entrenched colonial mentality of the Brazilian people, spoilt by exploitation and violence. 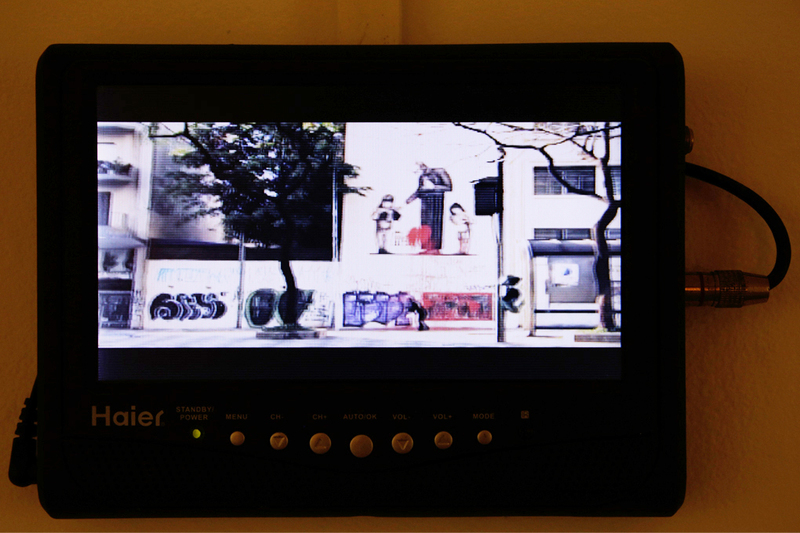 Here, the artist examines the delinquent character of the heroes of São Paulo, the narrative dissimulation of official monuments, and scrutinizes the resilient colonialism that our ConcretoContínuo reveals about us. Name given to the men of the colonial period, who, from the beginning of the sixteenth century, penetrated the interior of South America in search of mineral wealth, indigenous to enslavement and extermination of quilombos. Special thanks: André Guazzelli, Beatriz Freitas, Celso Ferro, Giuliano Spina, Helena Wolfenson, Isabel Wolfenson, Julio Yasbek, Lucas Girard, Marcel Arruda, Marina Lima, Nicolino Spina. Born in São Paulo. Lives and works in Berlin. Gian Spina was born in São Paulo (Brazil) and lived, studied and worked besides others in San Diego (USA), Vancouver (Canada), Bordeaux (France), Berlin, Frankfurt (Germany), Ramallah (Palestine) and Athens. 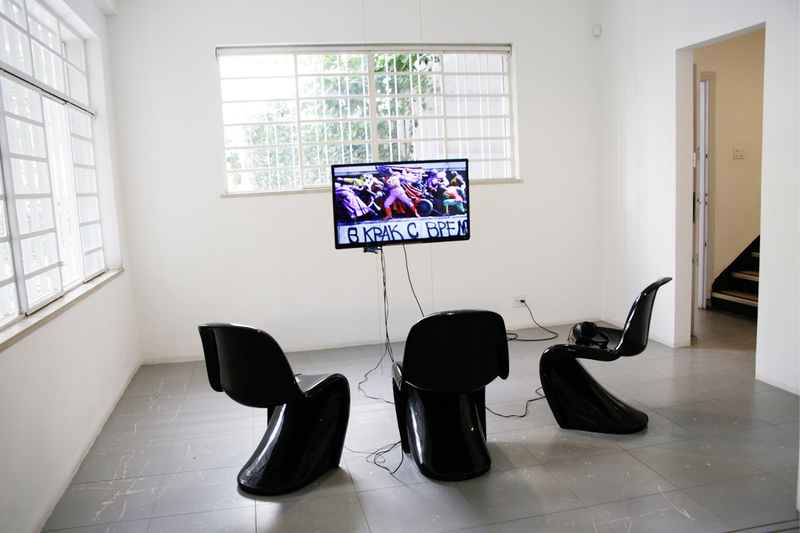 He has developed an artistic and theoretical research based investigation framing the construction of narratives and the representations of history and memory, using primarily medias as video, action art, installation and his activity as a writer and poet. He has received scholarships as Rotary-club Offenbach am Main and Ministère de la Culture Française. 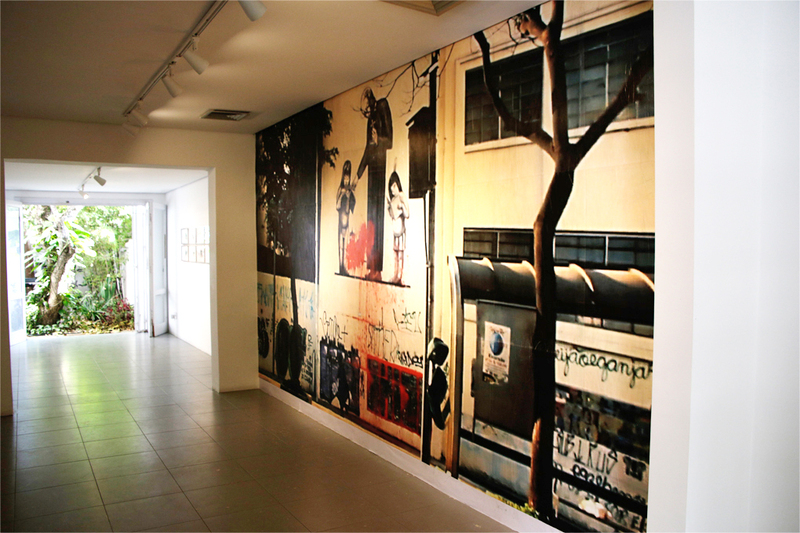 He had worked as a professor at the Escola da Cidade in São Paulo (Architecture University) and the Art Academy in Palestine. 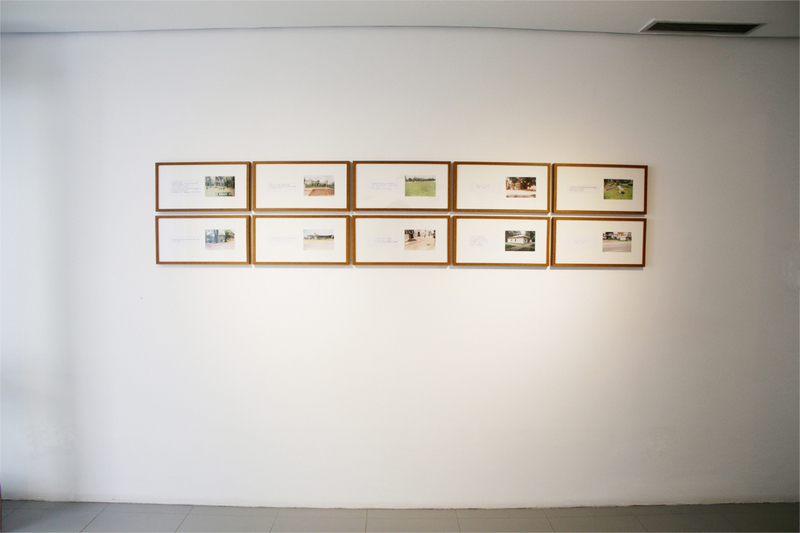 His recent solo exhibitions and group exhibitions took places in: the Cultural Center of São Paulo – CCSP (solo), A4 Arts Foundation in Cape Town, Bureau fro public insecurities – São Paulo. 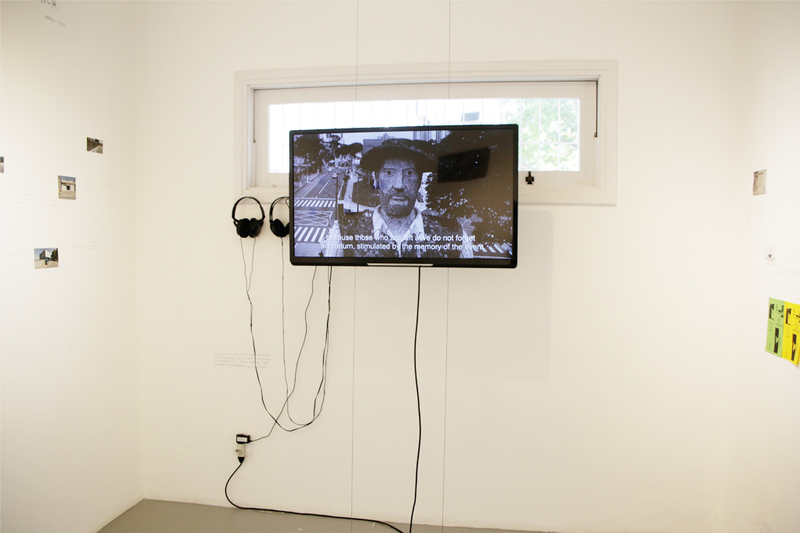 He is part of the one year art residency CAPACETE in the framework of the Documenta 14 in Athens. He has crossed the Balkans and the Central Asia with a bike, the West Bank and the Himalayas walking and speaks fluently German, English, Spanish, French and Portuguese. Curator, editor and researcher. Juliana is a specialist in Curatorship by the University of Cape Town- UCT (South Africa), and in Arts: History, Critic and Curatorship by the General Coordination of Specialization, Improvement and Extension of PUCSP; as well as a bachelor’s degree in Law from the same university. 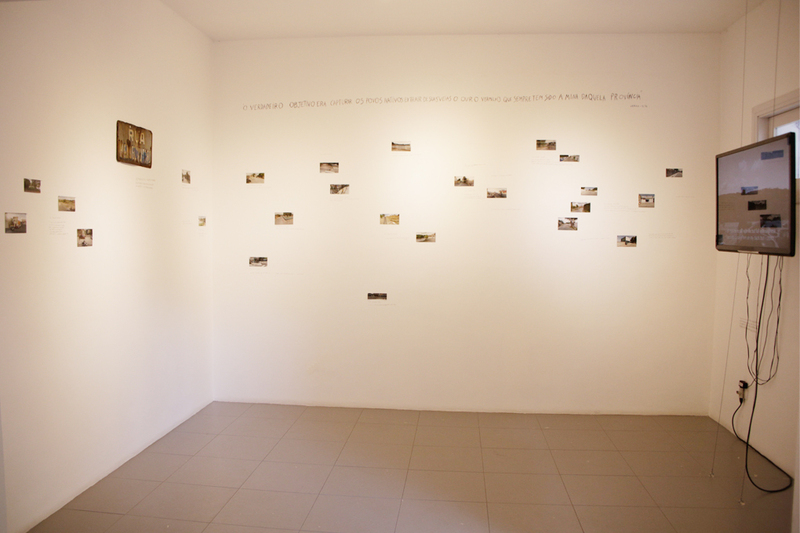 She was part of the team at Videobrasil Cultural Association between 2013 and 2017, where she worked on the agenda of exhibitions and other activities of Galpão VB. In 2017 she was selected to participate in the intensive seminar of Independent Curators International (ICI) in Acra, Ghana. 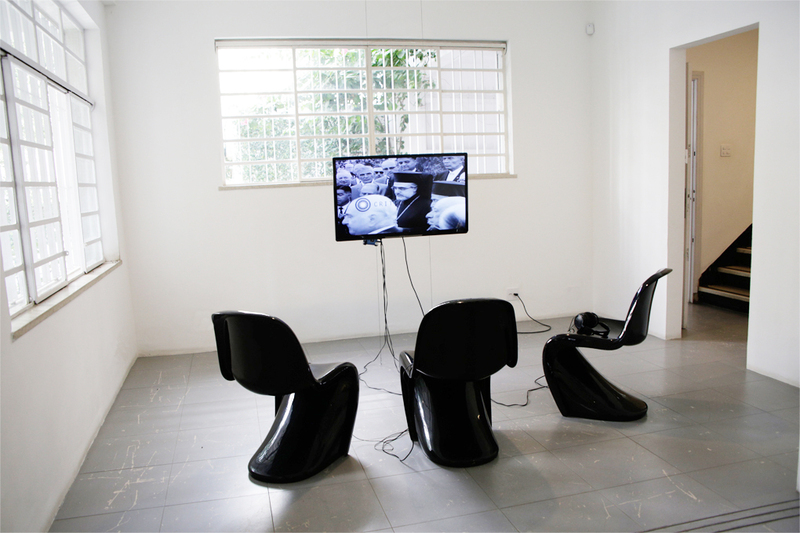 Among her curatorship works we emphasize: Cambridge Artistic Residence, focused on the development of artistic and cultural proposals on Cambridge Occupation Hotel, recipient project of APCA Award 2016 in the category ‘urban appropriation’; the Seminar: Think America Latina | Political and Cultural Panorama in Galpão VB (São Paulo, Feb/Mar of 2017); the exhibition How to Remain Silent? at A4 Arts Foundation (Cape Town, Oct/Nov of 2017); and the project Conversations in Gondwana, research, experimentation and contemporary art studies platform between Africa and South America. 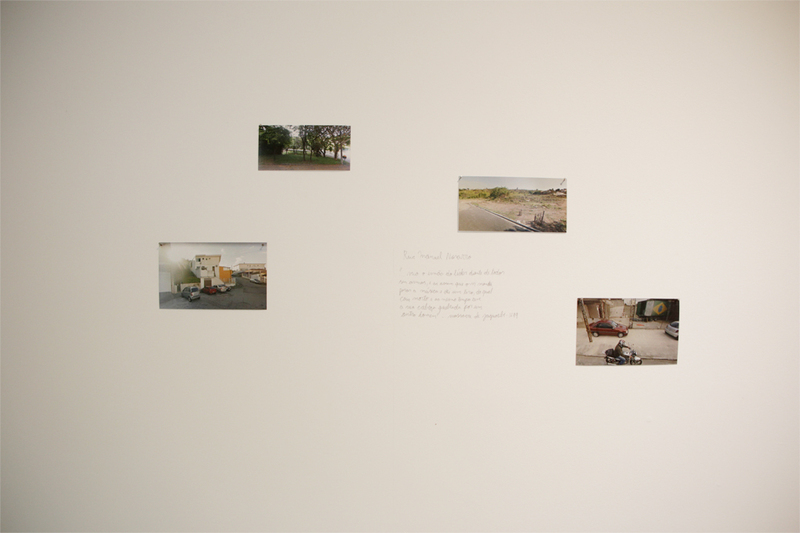 Recently she was awarded with the 2018 Projects Season prize to perform the exhibition From Silence to Memory at Paço das Artes. Exhibition from March 24th until April 21st of 2018 .